How come your Elmo doll is so important to you? I think he’s almost the only thing you own except your clothes, no offense. 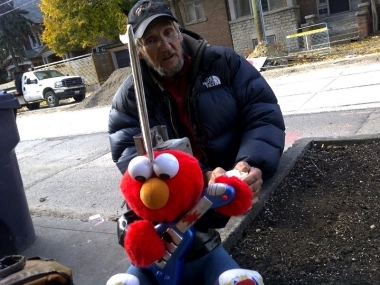 This entry was posted on	December 12, 2011 at 12:50 pm	and is filed under homelessness.